J. Robert Lyons, Jr. focuses his practice on corporate and transactional matters and is located in Dinsmore's Lexington office. 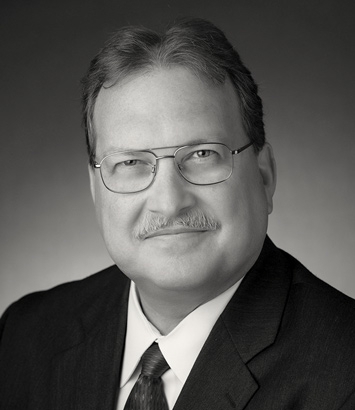 With more than 30 years of experience handling diverse aspects of business, estate, trusts, and probate law matters for clients, Bob takes a practical, communication-driven approach to helping clients. He has experience in civil and appellate litigation, as well as client consultation and document drafting, in ante nuptial and post-nuptial agreements, powers of attorney and health care powers of attorney, guardianship, and special needs trust drafting and court approval. He is also experienced with estate planning, probate and trust administration, family law, and corporate and business planning. He handles a variety of trust and estate matters for clients, including will contests and construction matters, breaches of contract and fiduciary, duty disputes. Representing a variety of small and medium-sized businesses, as well as individuals, he guides clients through business, estate, and fiduciary problems at any stage - from document preparation to litigation. His thorough knowledge of business, estate, trust, and probate law enables him to offer insight to clients at each step of the process, thereby forming a partnership and tailoring his approach to suit their needs. Additionally, he has civil litigation experience in state and federal courts throughout Kentucky, as well as appellate experience, including oral argument presentation, in the Kentucky Court of Appeals, Kentucky Supreme Court and the U.S. Court of Appeals for the Sixth Circuit. Bob has also offered presentations on estate planning and business topics for client groups, as well as the Probate Section of the Fayette County Bar Association, the Bluegrass CPA/CPE Study Group, and the University of Kentucky Small Business Development Center.